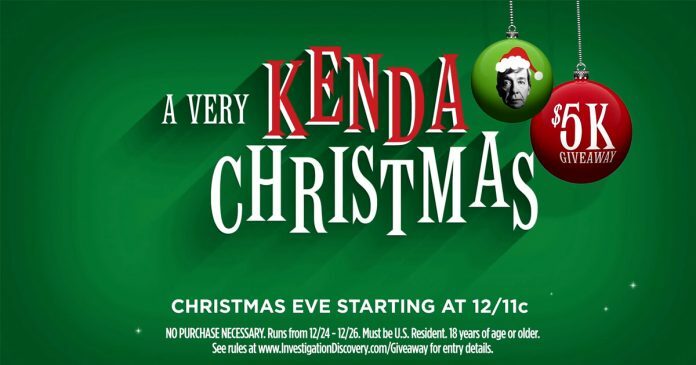 Investigation Discovery is launching A Very Kenda Christmas $5K Giveaway 2017 on December 24, 2017. To enter this Investigation Discovery Giveaway, viewers are invited to watch the Homicide Hunter marathon on I.D. starting at 6a/5c on Christmas Eve through 6a/5c on December 26th for a secret code every hour. Fans must enter the Investigation Discovery Giveaway code online at InvestigationDiscovery.com/Giveaway every hour for a chance to win $5,000. What if you don’t have time to look for these Sweepstakes codes but you still want to participate into the A Very Kenda Christmas Giveaway? This is where SweepstakesMag becomes handy. Here is the ultimate list of all code words for Investigation Discovery’s A Very Kenda Christmas $5K Giveaway 2017. When do we enter code and how for Kenda giveaway?? I have signed up, took survey…WHEN DO I ENTER CODE…VERY CONFUSING! I can enter without having to enter in the “On-Air Code” on the entry form. What Time Zone is this Word List representing ? Make sure you enter the correct word within the correct hour for your Time Zone. It’s very tricky to get this right.